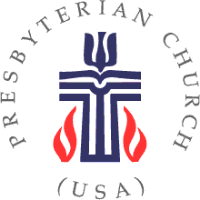 The Presbyterian Church (U.S.A.), or PCUSA, is a mainline Protestant Christian denomination in the United States. Part of the Reformed tradition, it is the largest Presbyterian denomination in the U.S. The PCUSA was established by the 1983 merger of the former Presbyterian Church in the United States, whose churches were located in the Southern and border states, with the United Presbyterian Church in the United States of America, whose congregations could be found in every state. There are approximately 1.76 million members, 10,038 congregations and more than 12,000 ordained and active ministers in PCUSA. Presbyterians trace their history to the 16th century and the Protestant Reformation. Our heritage, and much of what we believe, began with the French lawyer John Calvin (1509-1564), whose writings crystallized much of the Reformed thinking that came before him. After years of watching and mulling, in 2010 Central Florida Presbytery* called Nancy Graham Ogne to explore potential for a new congregation in Lake Nona. In June 2011 – following months of prayer and time-tested spiritual disciplines coupled with time on the ground -- Nancy and a team of 13 “ambassadors” from Community Presbyterian Church in Celebration (Nancy's former employer) and other nearby churches recommended a formal church plant. The Presbytery unanimously agreed. * The council of Presbyterian congregations in our region, encompassing Orange, Seminole, Osceola, Brevard, Highlands, Indian River, Lake, Okeechobee, Sumter and Volusia counties.